Whenever we're outside the children ALWAYS beg me to be the Big Bad Wolf. At this time I am no longer Leslie, but a scary wolf that chases them into different hiding spaces and tries to huff and puff their house down. Their laughter is contagious, and they seem to never get tired of playing this game. After discussing with Tabatha, we both decided it was necessary to set up an invitation of the Three Little Pigs. 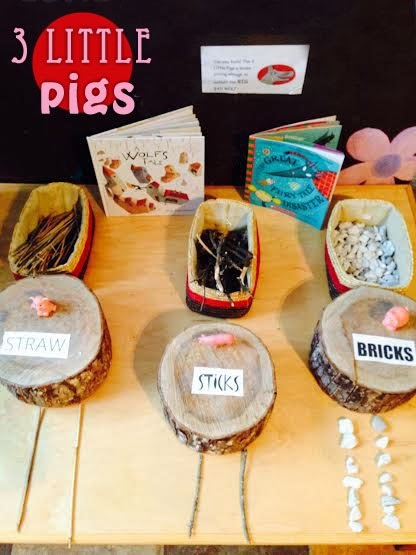 We gathered up a few easy materials that were already in our classroom and set up a table for the children to discover when they arrived the next day. One child walked over to see what I was doing and told me, "Heyyy.. I know what that's for. We gotta build them a house to save them from the big bad wolf." 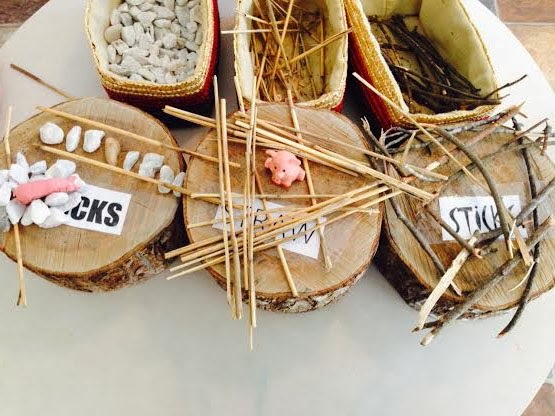 She ran her finger over the words and said "That says straw, that says sticks, and that has to be bricks, but you know that's not really bricks." (They never miss a thing.) 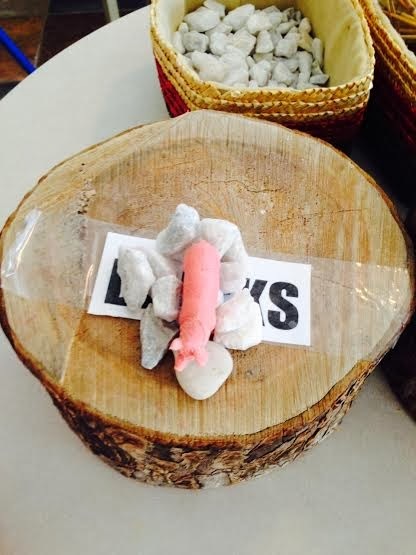 I explained our bricks might be too heavy so we'd try out our rocks. The next morning some of the children went over and started building structures to help protect the pigs. Once they completed their house, they would ask me to come over and see if I could blow it down. I asked them if they think I could blow it down, and every time it was a very certain NO. (I will say it was much harder than I anticipated, but refused to give up.) If I was able to blow their house down they would brainstorm with each other how to make it stronger. I left the table for a little bit, and when I returned they had decided to make a Pig City just like in the story we read "A Wolf's Tale" by Eva Montanari. They made bridges and roads so the pigs could travel and visit one another and live "Happily ever after." Problem Solving was used when they needed to make their houses stronger. 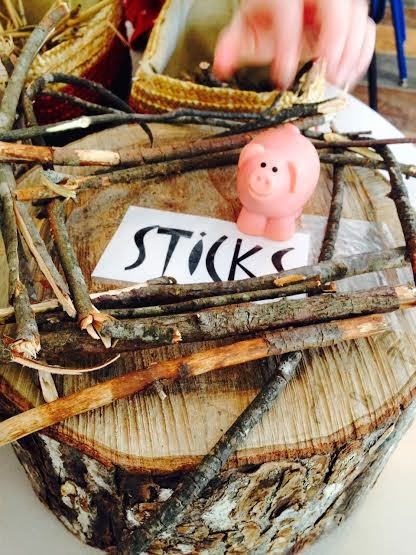 The children applied their prior knowledge of the story, "The Wolf's Tale" when recreating their Pig City.